Ant McPartlin may have only just left his marriage, but the Geordie TV star might have already found himself a new lady. The 42-year-old I’m A Celebrity Get Me Out Of Here presenter ended a number of weeks of speculation when he earlier this month confirmed he’d split up from his long-partner, wife Lisa Armstrong. Ant is very sad to announce that, after 11 years, he is ending his marriage to Lisa. For those of you watching the National Television Awards on Tuesday night, you may have noticed who the woman in question is. As is such the celebrity world, it didn’t take long for the rumour mill to be in full flow and despite the pair being colleagues, it seems people think their relationship is a whole lot more. Eagle-eyed viewers watching the NTAs, believe they saw sparks fly between Ant and none other than fellow Geordie and former Gogglebox star, Scarlett Moffatt. 27-year-old Scarlett is of course good friends with Ant and Declan Donnelly – she accompanied them to Australia for last November’s I’m A Celebrity. She’s also starred – in a recurring role – on Ant & Dec’s Saturday Night Takeaway – which won the Bruce Forsyth Entertainment Award at the NTAs. Scarlett with Ant and Dec were on stage together to pick up their gong and this is when viewers started to put two and two together. The almighty clue? Ant had his arm around her shoulders while Dec walked with his hand on her back across the stage. Crazy how males and females can’t have platonic relationships in 2018! Viewers of the televised awards were quick to take to Twitter to suggest the pair, who have a 15-year age gap – had become far more than just friends. An array of tweets, all making the same suggestion flooded Twitter. Here’s a suggestion. 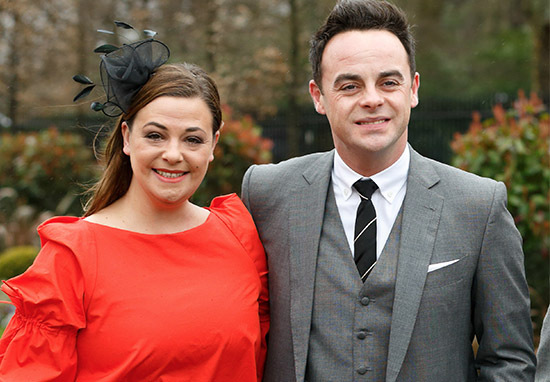 Ant Mcpartlin and Scarlett Moffat should get together. What a beautiful couple. However, (and sorry to break all your hopes guys) Ant’s rep denied the claims to the Mail. Scarlett recently praised Ant for his return to the jungle to present I’m A Celebrity: Get Me Out Of Here, calling the 42-year-old her ‘mentor’, reports OK.
Everyone says you shouldn’t meet your heroes, but that’s a lie. Ant and Dec are nicer than you could ever imagine. They really care. They were my mentors on Saturday Night Takeaway. The news also comes after the Sunday Mirror revealed Scarlett was one of the first people Ant called when he got out of rehab, where he’d spent eight weeks to treat his addiction to prescription drugs. After he left, he and Scarlett are said to have talked ‘non-stop’ and friends said she was a ‘great support’ to Ant who supported Scarlett when she split from her boyfriend Luke Crodden. Whatever’s going on with their personal lives, as long as everyone’s happy, who cares!